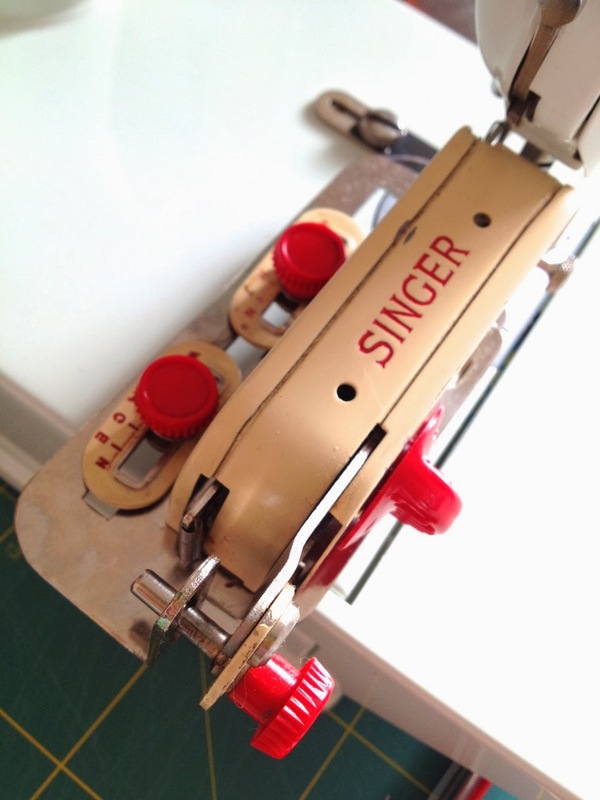 I thought I would end the year on a revelation- sewing not biblical, the Singer Featherweight buttonhole attachment. I have been meaning to blog this forever so now seems as good a time as ever. 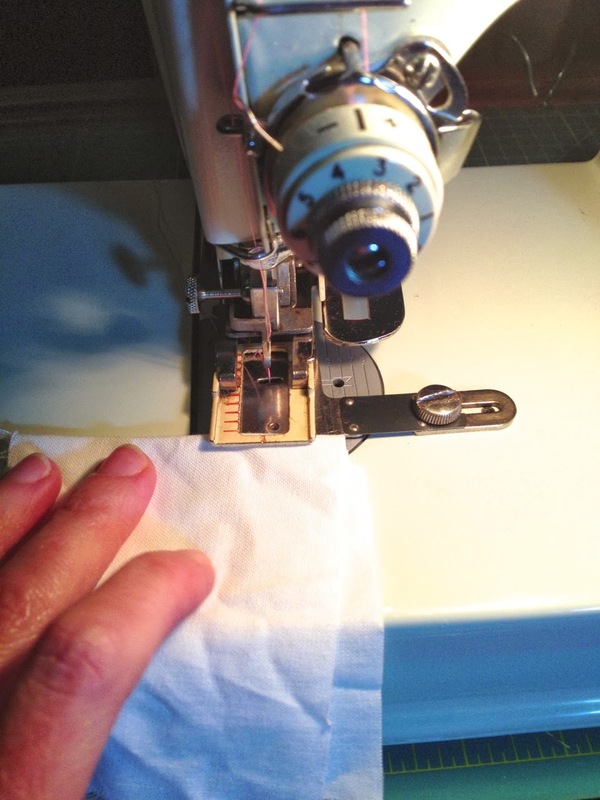 My need for this came out of my dissatisfaction with Janome buttonholes. 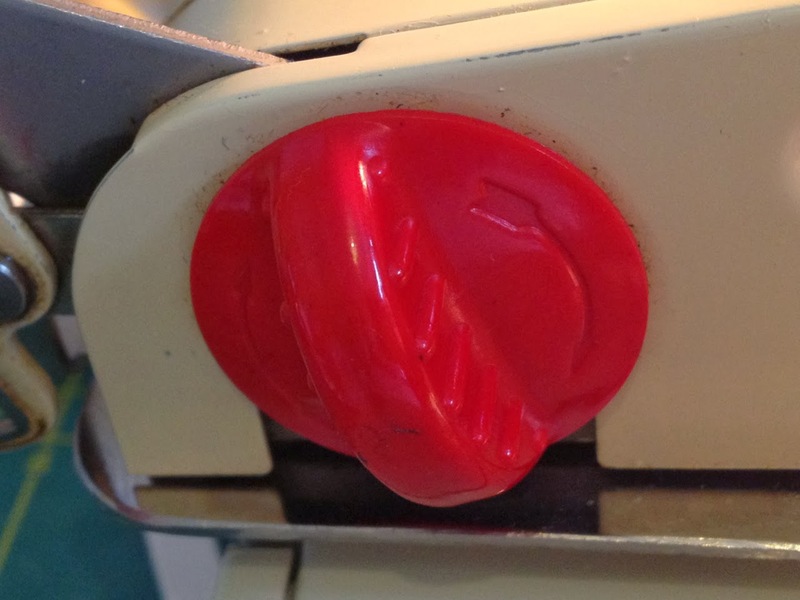 You do need to play around with the different dials- this big red one denotes the different stages of buttonhole sewing. There are three other dials, the one below sets the density of the stitches, the other two, the length and width of the buttonhole. 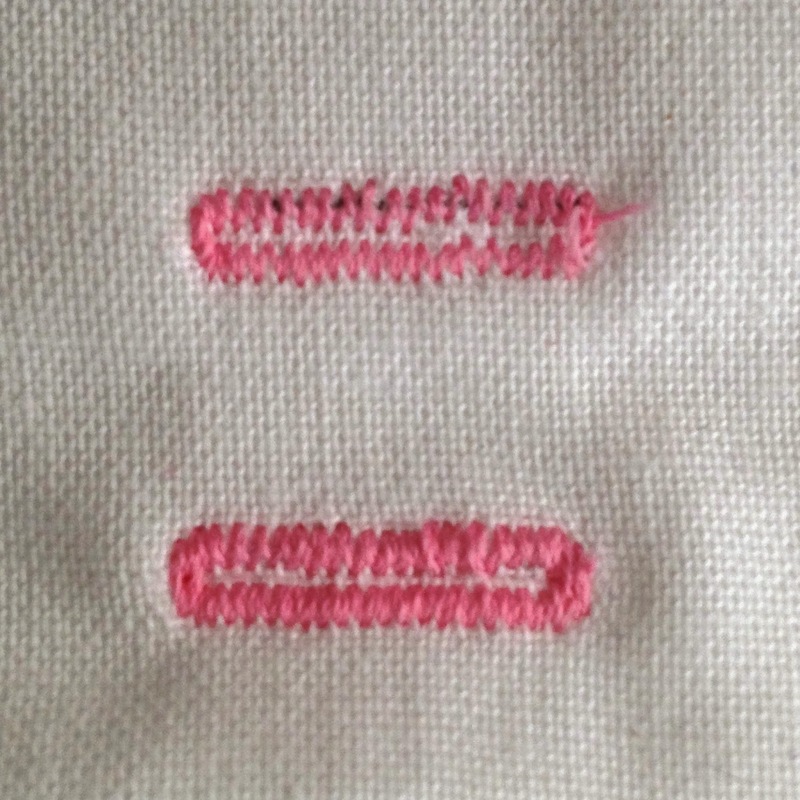 Here is the buttonhole with a single round of stitching , and then with a double round. And it repeats each one exactly the same- precisely what the Janome Horizon and a whole host of modern machines cannot do. 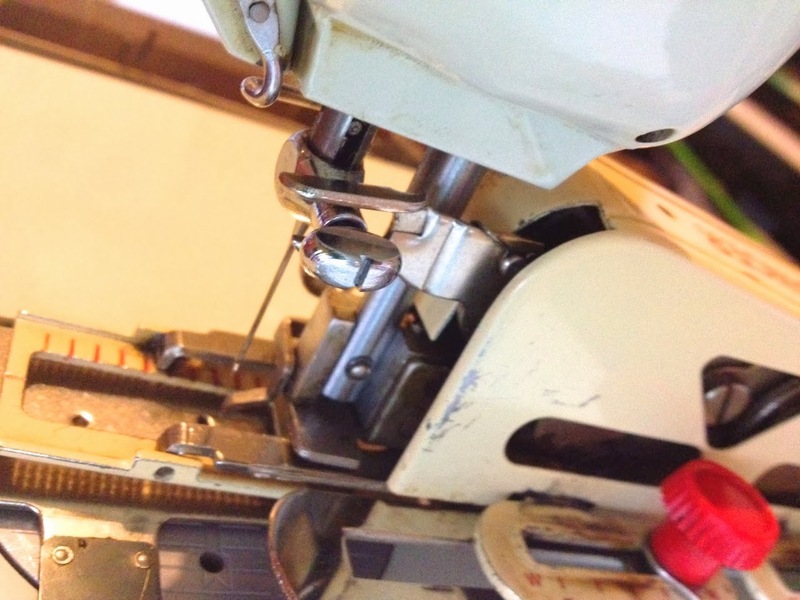 Got to love the amazing timeless engineering of the Featherweight. My other revelation for this year is Ugg boots. After years of strident denial I succumbed and ended up with a pair for indoors and a pair for outdoors and my feet are forever thankful. 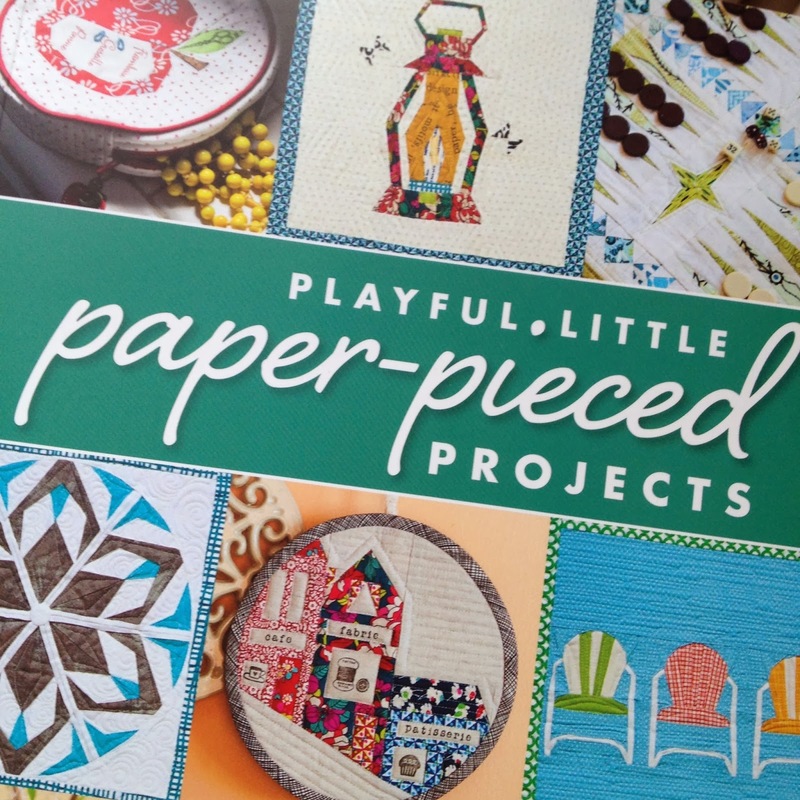 I got a surprise delivery today that I thought wouldn't arrive till the new year, Playful Little Paper-Pieced Projects: 37 Graphic Designs & Tips from Top Modern Quilters. (check out the look inside feature on Amazon for pics/text previews). I had an email to submit a design for this ages ago- such is the way of publishing, and at the time everyone is sworn to secrecy and you don't know who else is in it. As time has passed you start to find out and in the end if tells like it is a book full of friends, people I have worked with, written with, met in person, Flickr Bees, Instagram- amazing company to be a little part of and congratulations to Tacha Bruecher who complied and edited the book, came up with such a great concept and managed to get a CD with all the templates/patterns in as part of the publication. 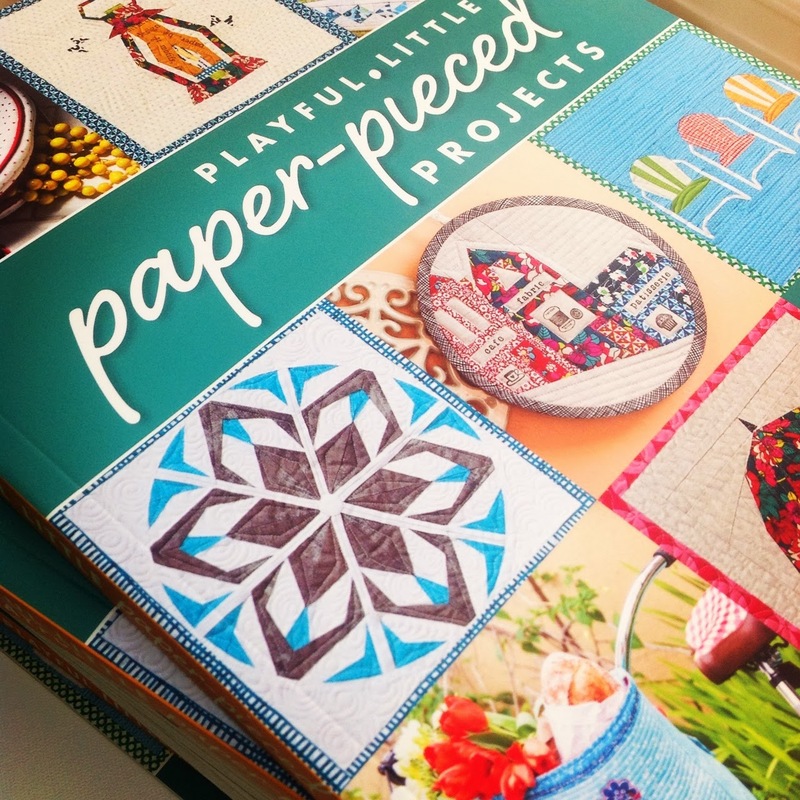 This book is an introduction to different methods of paper piecing and has the best 'how to' section that I have read on the subject. 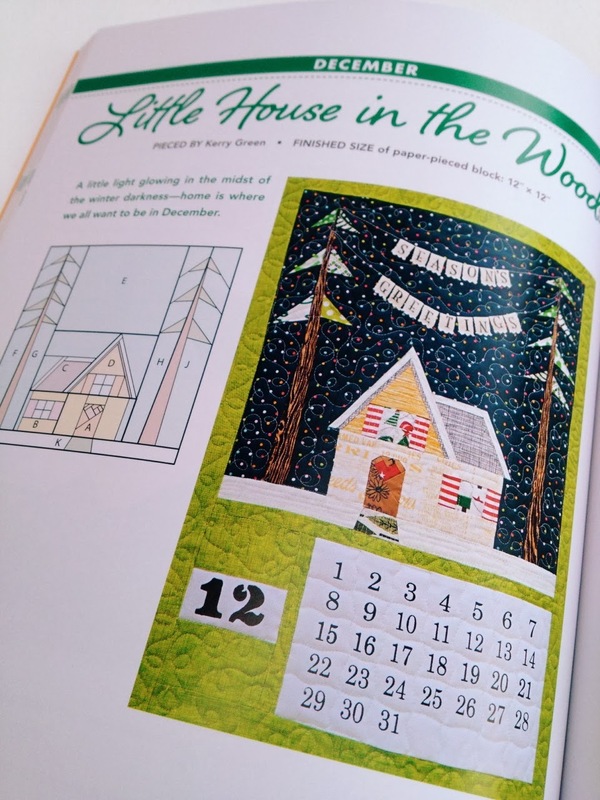 There are 12 monthly themed blocks which can be sewn individually, together to make a calendar quilt hanging and each comes with its own project ranging from aprons to bicycle baskets. My blocks are October and December. And my projects for these were a banner and a gift basket. Penny's of course, July block and project. A beautiful photo too with a perfect chair to showcase a chair! 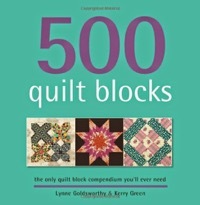 In addition to the calendar blocks, there is a further section of small projects with different block designs. 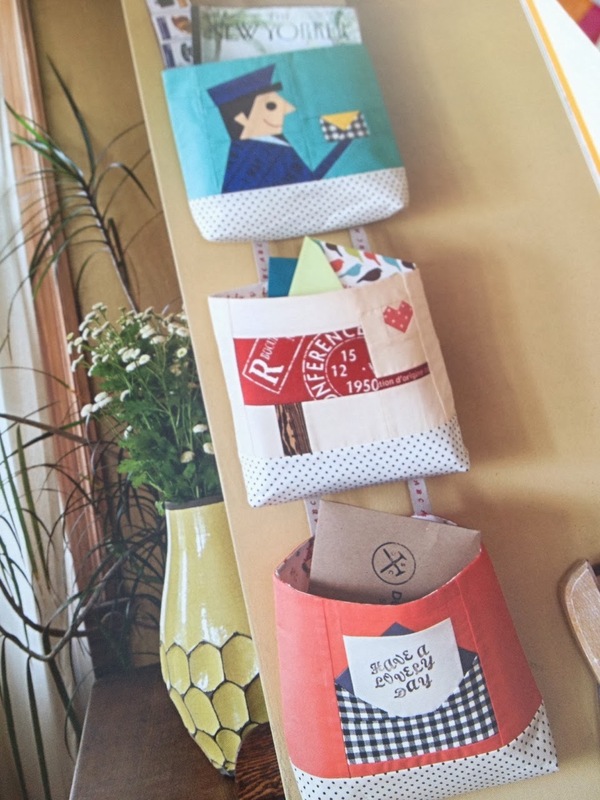 This is Ayumi's Mail Organiser- cuteness overload! Chase's Nutcracker and ribbon pillow- ear marked to make for next Christmas. 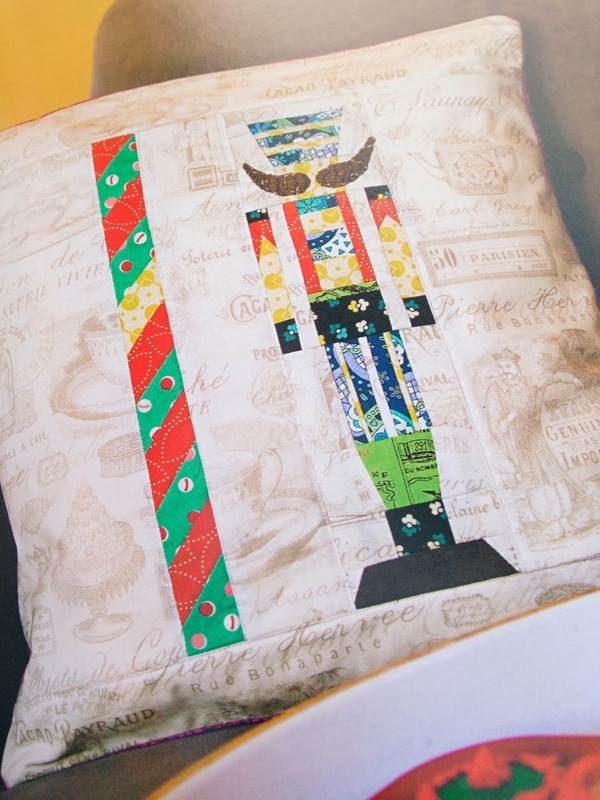 I fancy the ribbon as a border all around the nutcracker. 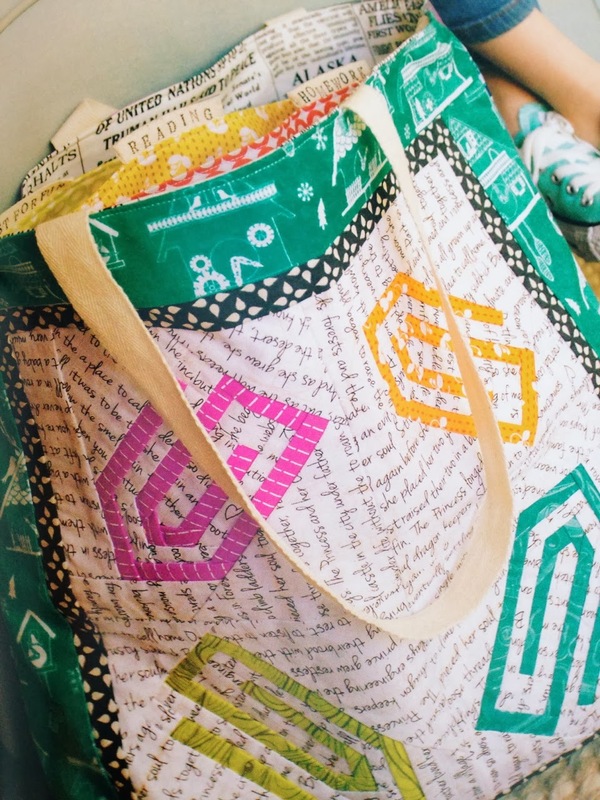 Laura Jane's ingenious indexed book bag, pockets for different sections, so, so clever! 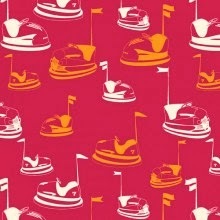 Megan's tea themed tea towel- the milk jug is my particular favourite here, love the shaping around the handle! 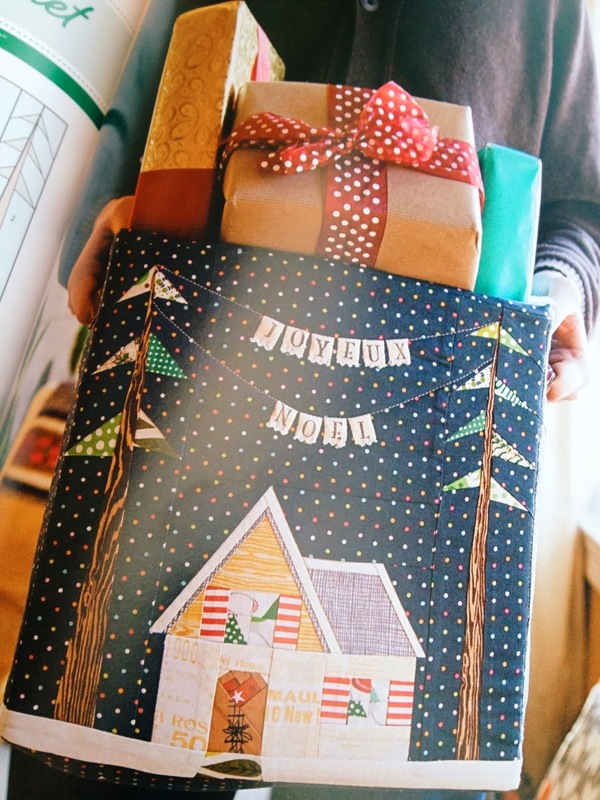 And there is so much more- Lynne, Amy Friend, Leila, Joanna, Daniel, Amy L, Angela, Kylie, Charise, Caroline, Tacha, Sonja, Cheryl, Tamiko, Julianna- you can see all the contributor profiles in this link- look at the inside feature, Playful Little Paper-Pieced Projects: 37 Graphic Designs & Tips from Top Modern Quilters. I may be a little biased but it is a truly lovely book and I am thrilled to be a little part of it. It feels like an age since I made these. It was in fact early mid September and there was still a little sun around and enough warmth to bare a little skin. Megan Nielsen put a shout out for pattern testers some time ago and I got an email to test the tweaked PDF version of Darling Ranges Dress. It had been modified and a bonus tunic/shirt pattern was added. That is what I started with. 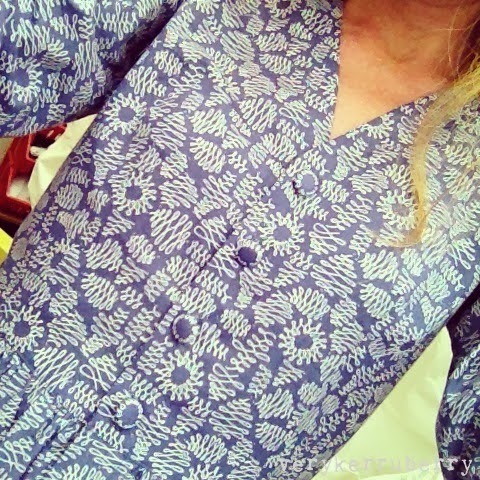 I was pretty sceptical at the tunic pattern in theory as it had no darts so I was expecting this to become a Pyjama top but I was very pleasantly surprised with the simplicity of this and how effective it was. 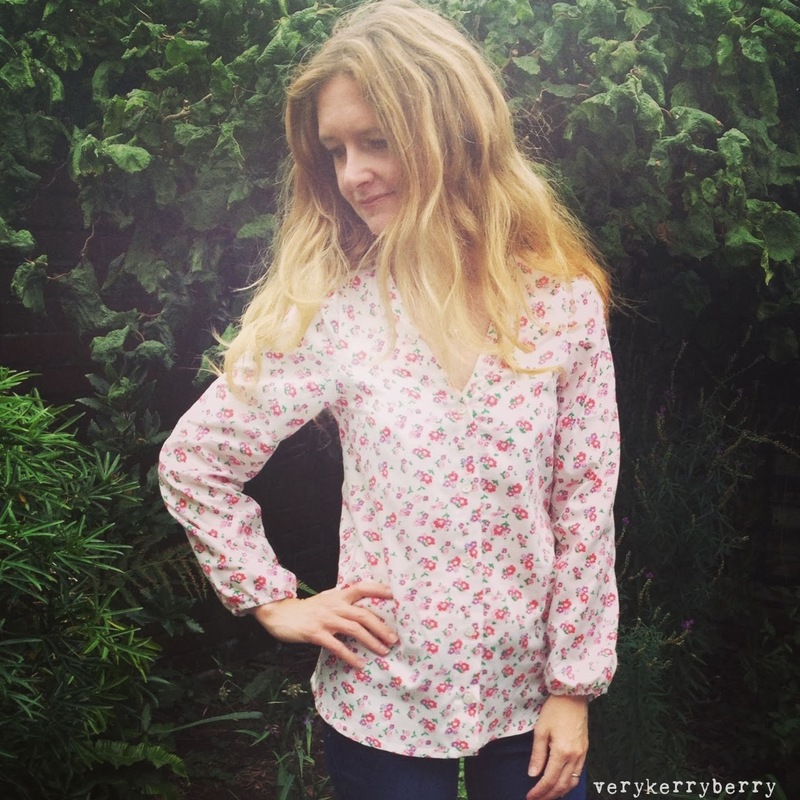 I made a size S, I had already done a small bust adjustment on the bodice and the darts are not sewn for this shirt, extended the sleeves and added an elastic cuff using method 2 from Megan's tutorials. The fabric came from Al, not quite sure what it is- a little viscose or rayon is in there and it dries really fast- what it does have is great drape for a light weight fabric and that's essential for this top- no quilting cotton for this one, it needs drape. 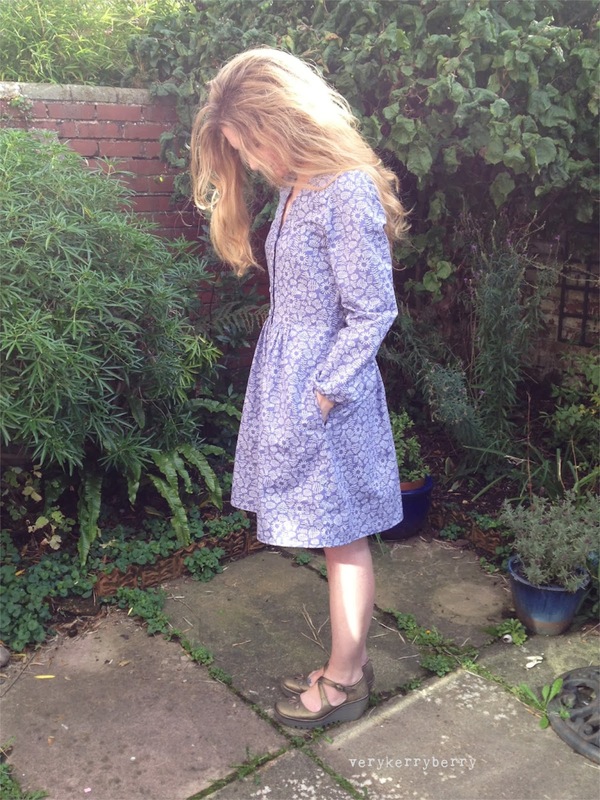 Then on to the Darling Ranges dress. Size S with added back darts. I took it in a little at the waist- about ½" on each side and I also added the waist ties. It is an easy, relaxed fit. I placed all the gathers to the centre front and back so the hips are smooth as I know this suits me. 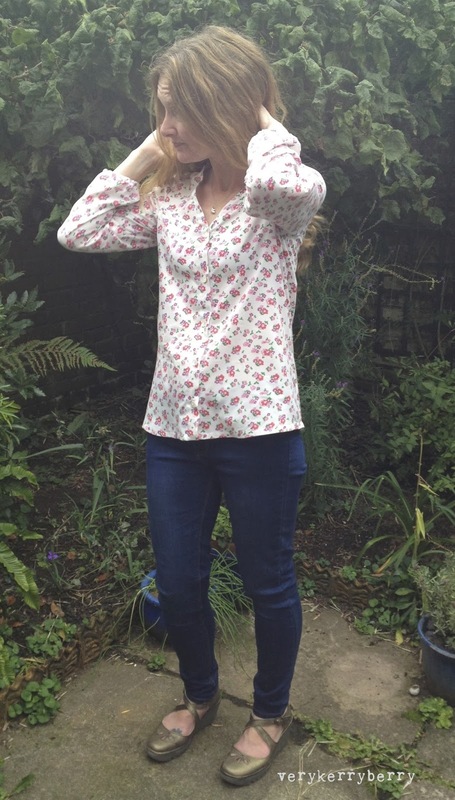 The fabric was Flumes by Sarah Watson for Art Gallery, the Luxe in Bloom range. 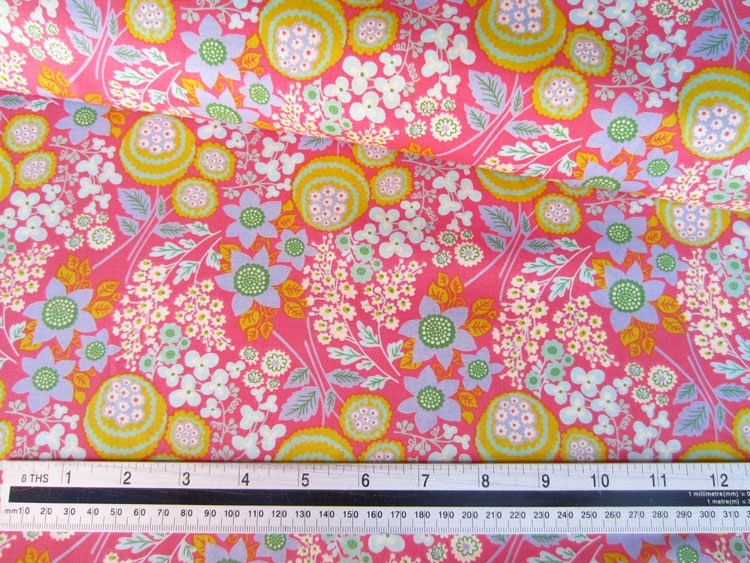 Art Gallery cottons are a lovely weight for dresses and have a silkier feel than most quilting cottons. I used 2.5 metres to make this dress. 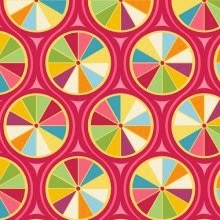 There was a great little circle pattern to fussy cut for the fabric covered buttons. 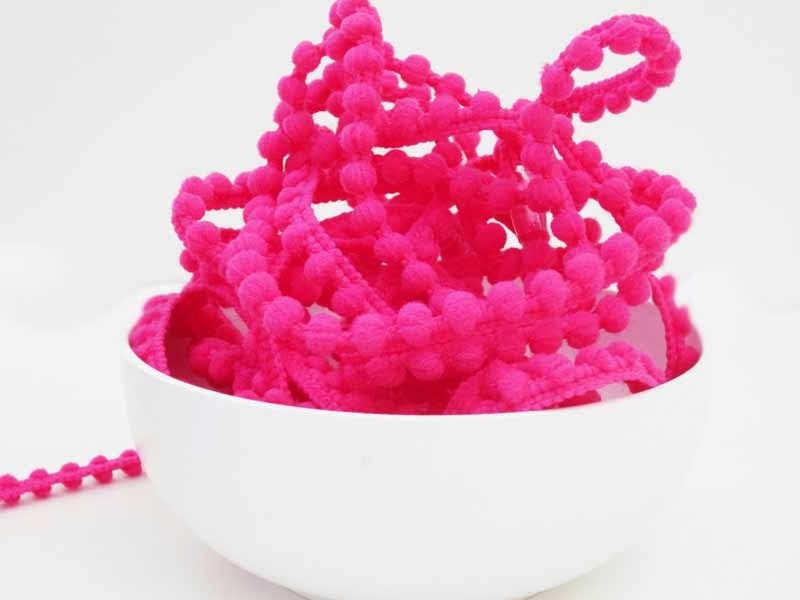 They are also so easy to make- tute here. And my little helper was on hand to photo bomb the pics. Megan took all the pattern testers' comments on board and tweaked the pattern further and it was a pleasure to test for her. 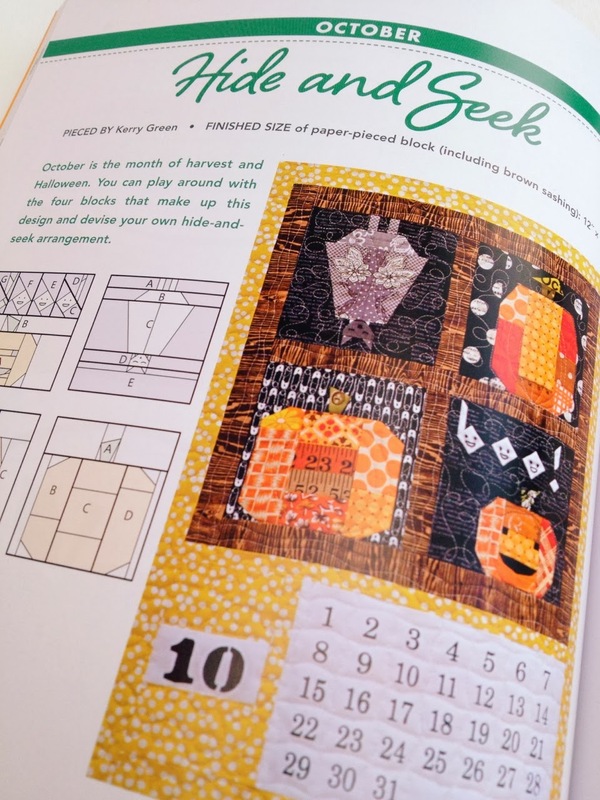 You can find all her PDF patterns here. 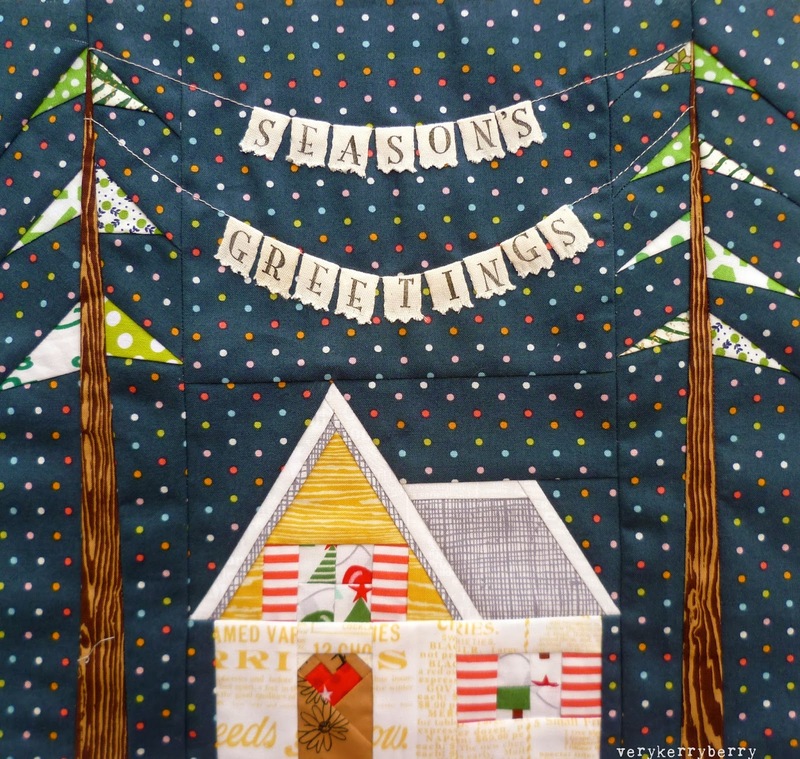 There is just time to sneak in one more virtual visit this year to Village Haberdashery. Annie's Bricks and Mortar shop has just celebrated 1 year! 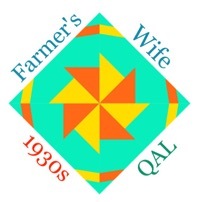 If you want to read an account of her average working day, pop along to Tilly's blog here where she has a lovely interview with Annie and you can gasp at how much she fits into 24 hours. 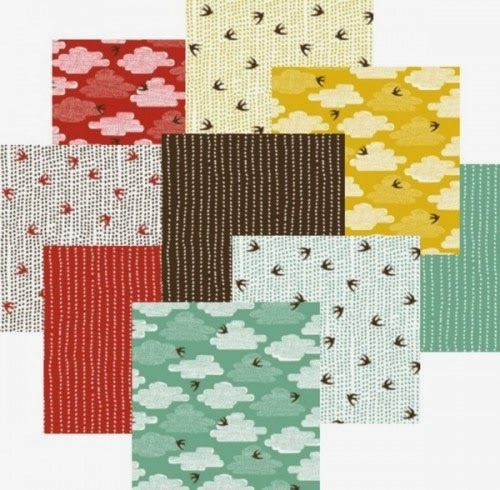 Just arrived, 'Up Up and Away' by Heather Moore of Skinny Laminx for Cloud 9. You may recognise the Free as a Bird print. This is a re-issue or spin off from the 'Cut out and Keep' selection and I think it was the red that sold out pretty much everywhere at the time. 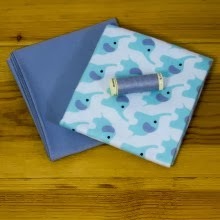 I still have a lot of the prints from the Cut out and Keep range, they really caught my eye, and the texture of Cloud 9 cottons are so good they do lend themselves to clothing as well as quilting. You can build a bundle here. December's Stash Society colour is grey. 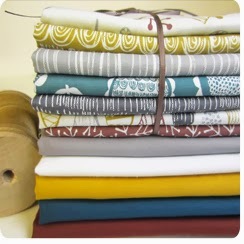 This is the organic bundle- I like this one best with these lighter greys. The designer bundle has a full range of greys in it. The colour for January sign ups is yellow. I am not sure whether you would receive grey or yellow if you sign up now! Best check with Annie! 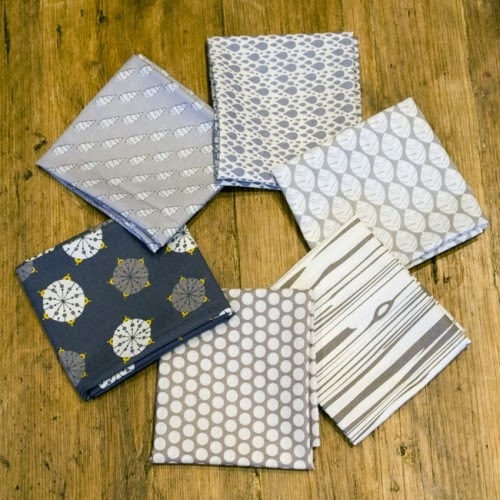 But you can find all grey fabrics here is you want to buy individually. 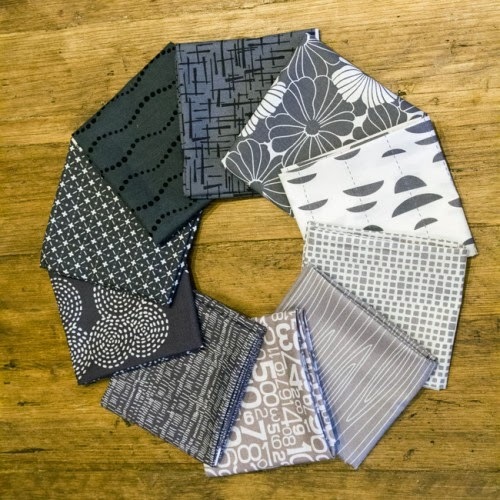 As I was browsing I rather randomly found some fun retro style fabrics from Thomas Knauer, his Asbury collection, and they are on sale too. 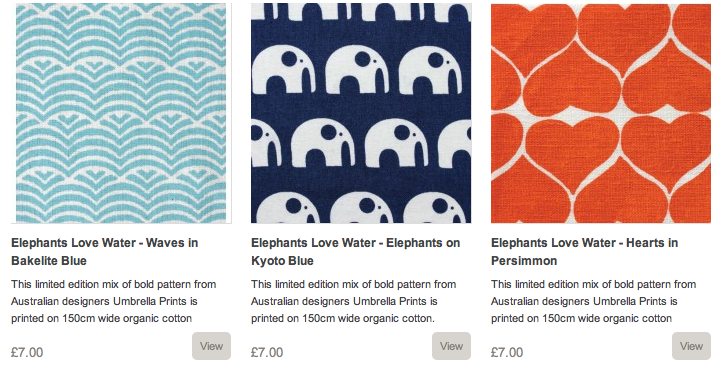 These are really cute prints, good for an older child's quilt I think, just the right mix of cute and quirky. 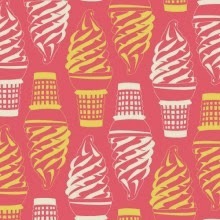 Soft Serve- perfect cornets! 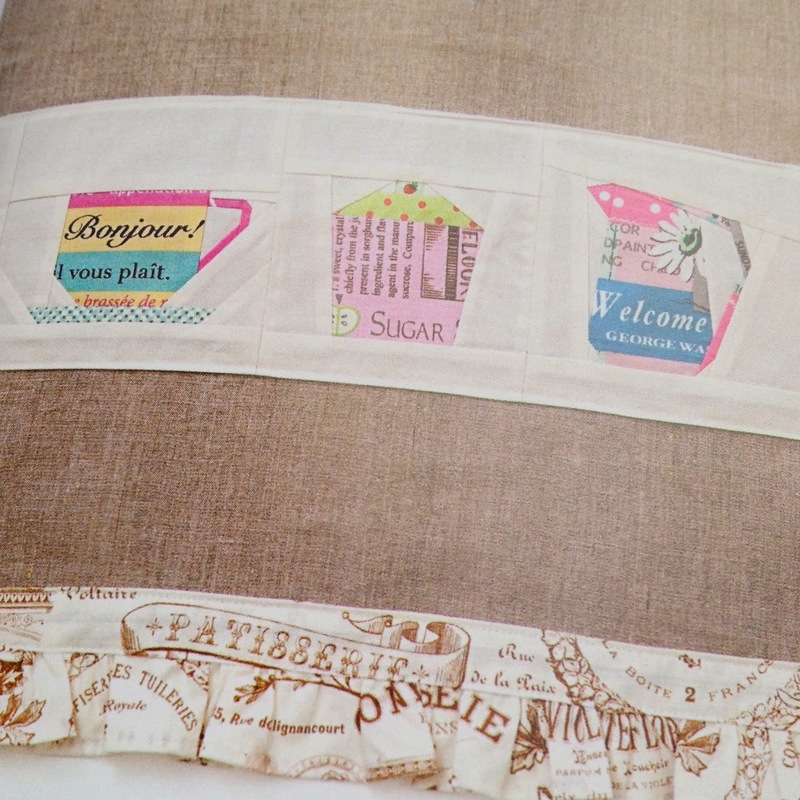 What a cute collection and I read today that Thomas will be in London teaching at Fat Quarterly Retreat 2014! How cool is that! Check out the teacher list so far here and ticket details here (including payment by instalment option). 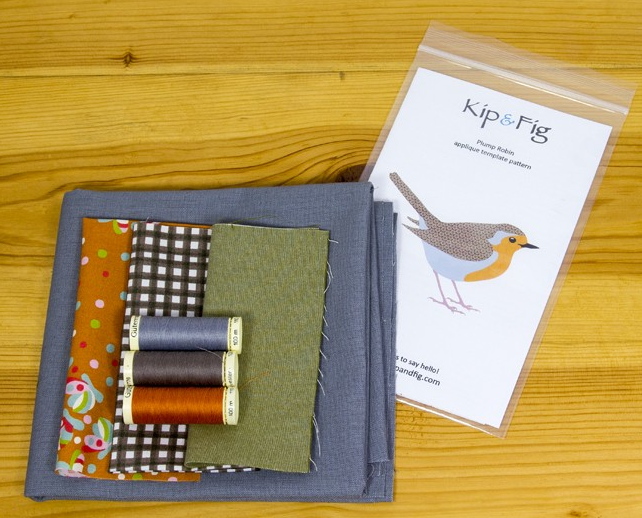 A quick look at some adorable kits, Robin tea towel- all the materials you need to make it and technique instructions are here. 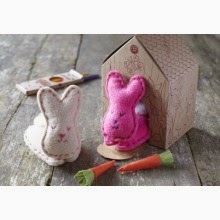 Buttonbag Bunny Hutch kit, great for children and the hutch + pencils are included for colouring in. 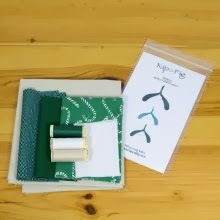 And finally a kiss under the mistletoe, tea towel kit. 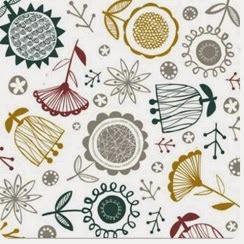 Happy Christmas to all at Village Haberdashery! I've just done my last day at work for 2013, sung Jingle Bells for the last time this year and had an emotional time saying good-bye to families I have worked with for years, some through several children. Christmas is going to be quiet for us this year. My family are largely away so it will be just the three of us for most of the time. 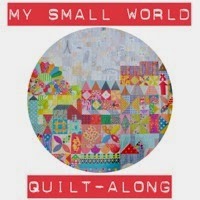 Eating, playing board games (this, this, this and this), dog walks and for me, sewing. This dress has been in my head for the longest time. 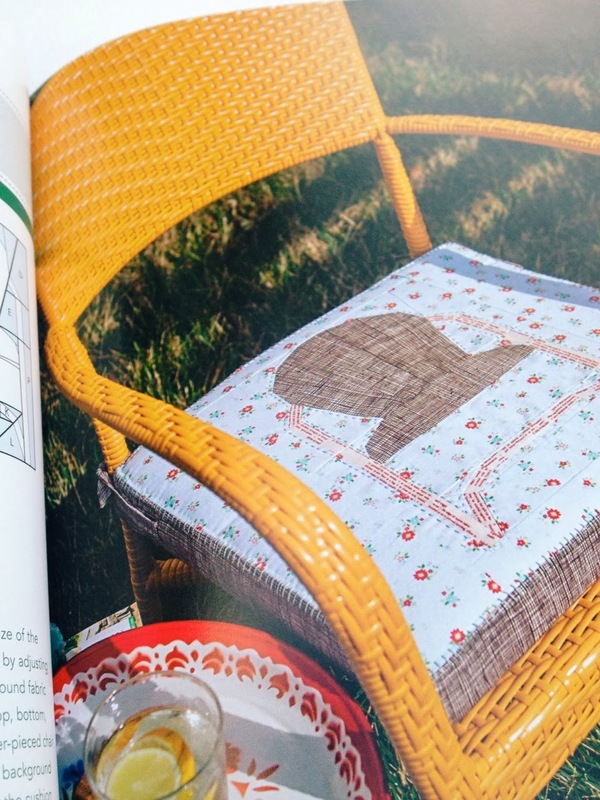 The pattern is long discontinued but a shout out on Instagram lead to Jenny Mae sending me her copy. 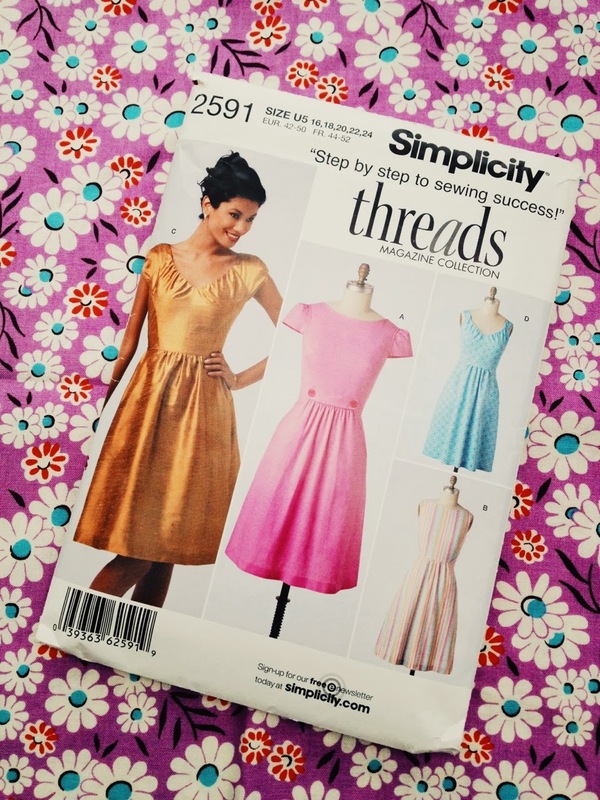 I have some resizing to do but I am hoping that looking at the instructions and pattern pieces combined with this pattern, Simplicity 1652 which I do have in my size will lead me to at least an approximation of this dress. I have other clothes making planned, I have made a few things recently which I will post soon- photos are needed for some-and one of the side effects of making my own clothes is finding it hard to match up the different elements of my wardrobe, hence the need to make more for the sake of cohesive outfits. 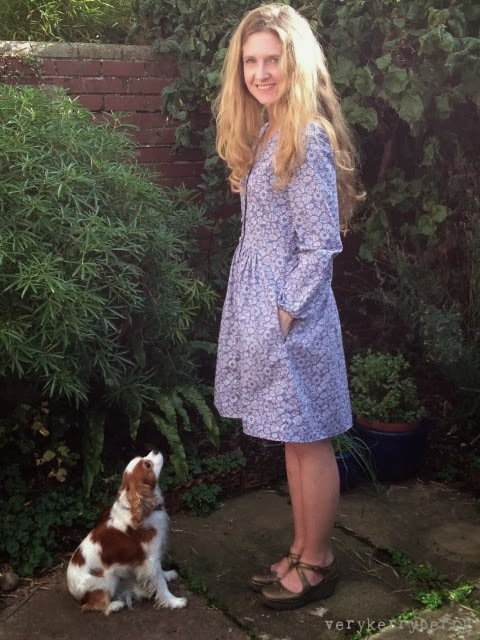 The beautiful fabric in the background of these pics come from another Instagram lovely coming to my aid, Monica supplying me with Denyse Schmidt, USA only DS daisy prints. I am hoping to rest up physically and mentally over the break too. 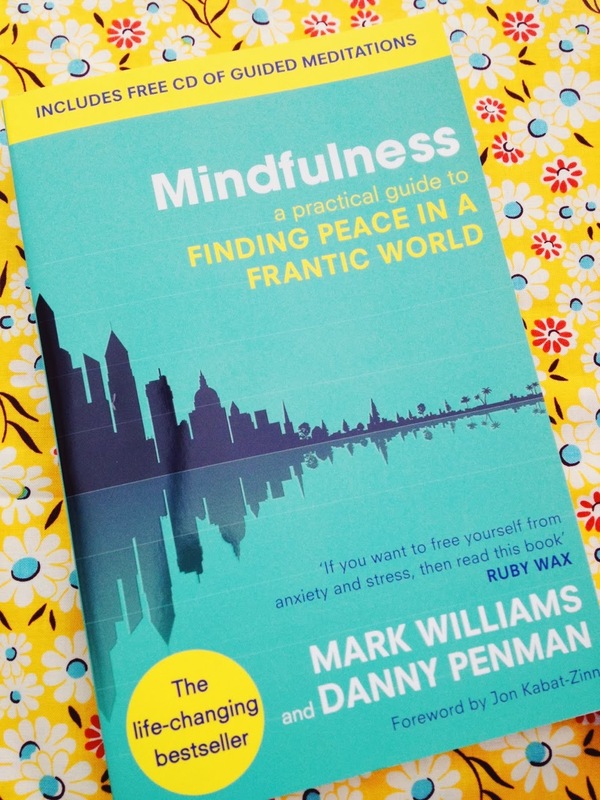 I bought this because it is practical and mediation has always eluded me despite several attempts over the years. I started with the raisin exercise and it was revelatory experience(although I could be biased, I am very partial to dried fruit). My head is too full and I need a way to clear it and I am hoping this is it. I look forward to Christmas but the reality is some elements of it are very challenging, there's a huge pressure all around to be creating the most beautiful home packed full of tasty treats, chinking glasses, the glow of a million fairy lights whist entertaining an endless stream of friends and family. The reality is staying in bed a little later, not getting dressed until mid morning, not seeing many people and no make-up for 2 ½ weeks. Excellente. 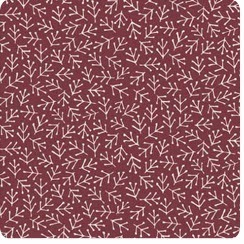 And it is designed in the UK, this multi directional pattern is called 'Small Twig'. See the other prints in this collection here. 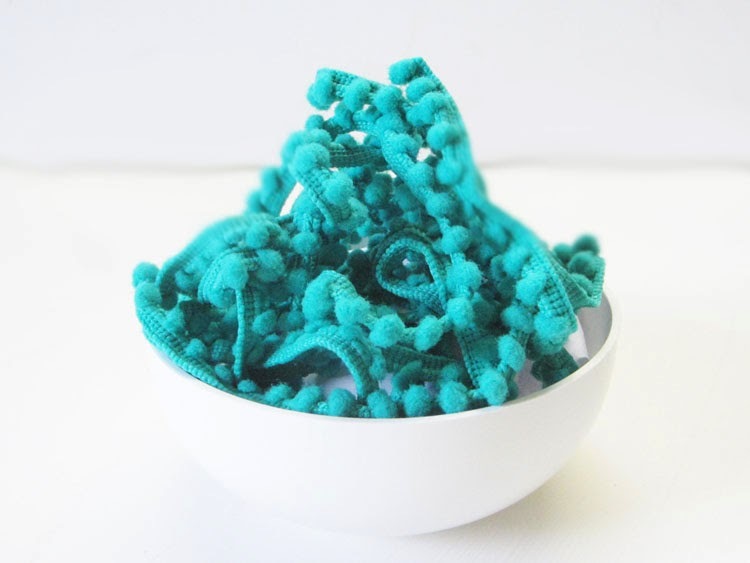 There is a very handy free pattern to make a loop scarf with a bound edge. 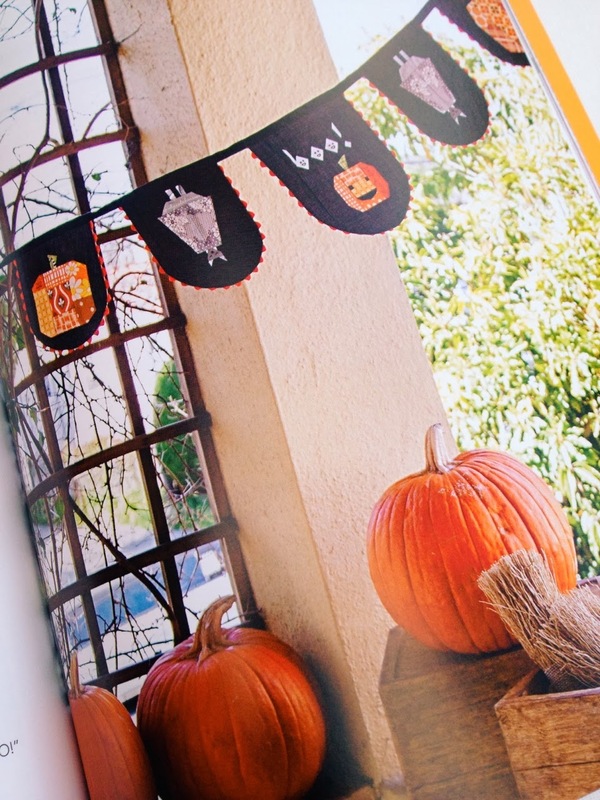 I like the idea of a double sided lawn scarf- soft and warm. without bulk The lawn selection can be found here. 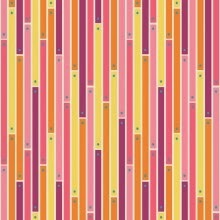 or these to match the background. If you are buying any haberdashery this Christmas, let me draw your attention to these little beauties. 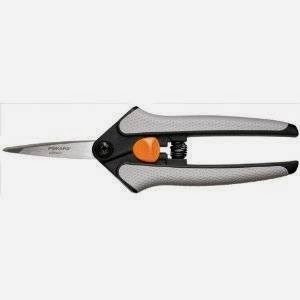 Fiskars Soft touch Micro scissors. I've just had these from Courtney and they are the sharpest snips I have ever used with some real power behind them. 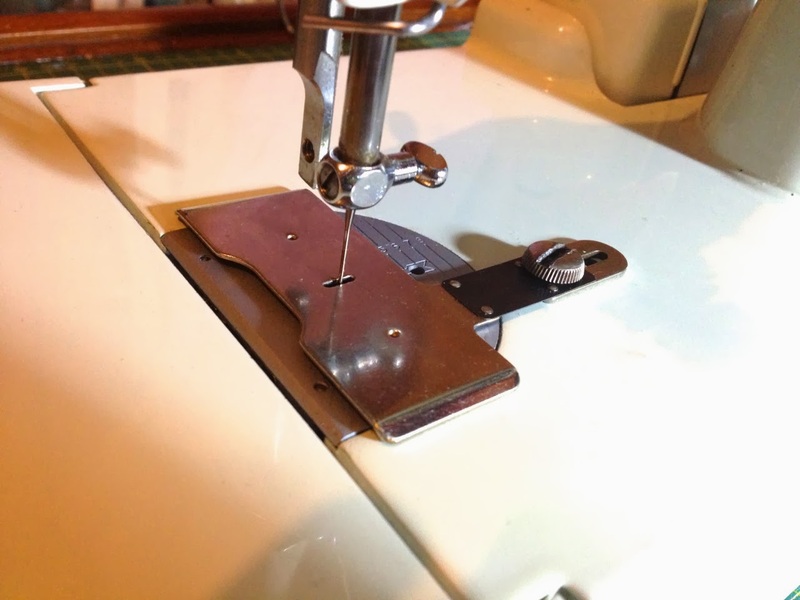 They are especially good at notching (cutting out little triangles in a curved seam) which as dress makers, toy maker and bag makers will know, is a tedious job. The spring saves on hand strain and the tips are incredibly precise.- I cannot recommend them more highly. 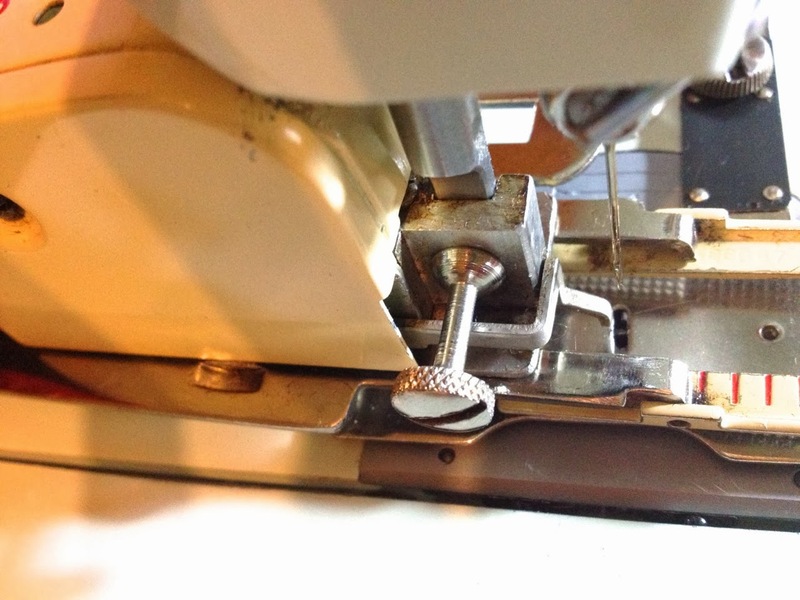 Here are mine in use notching a pocket facing. I can never have enough pairs of good scissors: fact.